3 - What is It? 4 - How Does It Work? 5 - Which Lasers Do You Use? We also offer the latest and most comprehensive range of laser removal devices available in Toronto. No matter what color your tattoo is, we have the right laser and the right wavelength to ensure the most comprehensive removal in the fewest amount of treatments. After a thorough medical history and a physical examination with one of SpaMedica’s laser physician specialists in our Toronto clinic, a multiple-visit laser tattoo removal treatment program is outlined. With our latest generation of devices, such as Picosure™ and Revlite™, the average number of sessions for an ordinary tattoo is 4 treatments with over 90% clearance. The size and number of colours in the tattoo will often determine the ultimate number of treatments required. A laser and appropriate settings are then selected to initiate treatment. Tattoos are created when a pigment is inserted into the second layer of skin (called the dermis). The pigments come in a variety of colours and formulations. Some of these formulations can be more difficult to remove than others, such as yellow, red, bright blue, orange and purple. With the rise in the prevalence of tattoos, so too have we seen a rise in patients wanting tattoo removal. It is estimated that in North America over 50% of women and 45% of men between the ages of 18 and 45 have a tattoo. Tattoos are supposed to be for life but the motivation and feelings that drove the initial decision don’t always last forever. Between 25% and 35% of people eventually come to feel some regret over their decision. SpaMedica Toronto is one of the most experienced multiple-wavelength laser tattoo removal centres in Canada. Laser tattoo removal has been an innovative and important part of our laser cosmetic dermatology program since Dr. Mulholland established SpaMedica in 1997. Our approach has been to acquire the most effective lasers available in the medical space. This optimizes the efficacy (the degree of permanent reduction) and minimizes the side effects. Most other laser tattoo removal clinics only offer one type of laser and 1-2 wavelengths of light. With such a limited selection, a patient’s tattoos often become resistant to treatment. Even after 12-16 sessions, a patient may plateau in their reduction. New lasers and wavelengths will be needed. At SpaMedica Toronto, we have assembled six of the most efficacious lasers ever made, as well as every wavelength of laser light used to remove tattoos. This will ensure you achieve the optimal and most affordable outcome in the fewest number of treatments. Our approach is to treat the tattoo with the most effective lasers—based on your skin type and ink colours—to achieve an average 90% + visible reduction in as few as four treatments. A. Microscopic image of the ink particles inside a tattoo. These particles must be broken up by a tattoo laser. B. Standard, less effective tattoo lasers break up the ink particles using heat. The ink particles are broken up into “pebbles” which are larger and harder to remove by the body, hence more treatments and more residual pigment remaining. C. The modern SpaMedica lasers use gated nanosecond pulses and multiple wavelengths— like the Revlite™ or the PicoSure™— to break the tattoo ink particle into “fine grains of sand.” These are smaller than the “pebbles” of longer pulse duration lasers and are easier to remove by the body’s natural systems. This results in near total clearance in fewer treatments. The specific energy from the light beam is directed at the skin where the pigment resides. Depending on the type of laser, the energy interacts specifically with the tattoo ink particle to injure and remove it. The injury to the tattoo particles can be thermal (longer pulsed lasers) or more photoacoustic (non-thermal), like the new Ultrashort pulse duration lasers. Unlike some lasers that rely on heat, the more high tech and modern tattoo lasers (such as the Picosure™ and Revlite™) have a much shorter pulse duration. They rely less on heat injury and instead create a mechanical acoustic shattering of the pigment. With photomechanical acoustic injury, the ultra-short wavelengths create a shockwave in the skin and around the ink particles, shattering them. The shattered particles then flake off from the surface of the skin while the deeper ones are consumed easily and naturally by the body’s elimination and immune system. These ultrashort, pulse-duration, photoacoustic lasers are much more efficient. In addition to removing the tattoo in as little as four treatments, the PicoSure™ and Revlite™ lasers, have a much lower risk of “ghosting” the surrounding skin. Ghosting is a white color left where the tattoo used to be. The skin is lighter than the surrounding skin due to thermal damage to the natural pigment cells in the skin (melanocytes). In general, older tattoo removal lasers require multiple sessions; often in the order of 8 to 12 sessions. Even at affordable per session prices, this can add up to a considerable expense. Dr. Mulholland has assembled a multiple laser approach, using the Revlite™, Picosure™, Accolade™, Affinity™, and fractional CO2 at the very end. The number of laser sessions can be reduced to 4-6 with over 90%+ clearance on average. Each session may take between 15 and 30 minutes, depending on the size of the tattoo and the laser. Most of the laser tattoo removal procedures are performed under topical anesthesia and with an air chilling device, although some patients may prefer local anesthesia. Which Lasers Do You Use? At SpaMedica in Toronto, Dr Mulholland has assembled the finest laser tattoo removal machines available in medicine. It is common for patients to receive treatment from two or three different lasers. The use of multiple lasers and wavelengths by our team, means fewer treatments, less ghosting, and better clearance. PicoSure Laser Tattoo Removal 755nm: Picosecond pulse duration works on all colors including Black, Green, Blue, Yellow, Purple, Orange, Red, Yellow and white tattoo ink. It is the newest and most popular of the laser tattoo removal devices. What makes the PicoSure® so special is its extremely ultra-short pulse duration. Most current Q-switched or ultra-short pulse duration lasers are measured in nanoseconds, which is a Billionth of a second. The PicoSure laser is measured in picoseconds (Trillionth of a second). It’s extremely short pulse duration means that the PicoSure® can remove any colour of tattoo pigment on any skin type. It takes half the number of treatments that would normally be required on nanosecond lasers. In addition, because it is the most pure acoustic, photomechanical laser tattoo device ever created, it is less likely to have a thermal effect and more likely to have a mechanical effect. The thermal side effects of laser tattoo removal include loss of pigmentation in the skin where the tattoo resided (ghosting) and/or textural changes or scarring. The absence of any significant thermal effect and the pure reliance on photomechanical or acoustic shattering of the pigment makes the PicoSure® the safest, most effective and efficient tattoo removal device on the market. RevLite Laser Tattoo Removal 1064nm, 650nm, 585nm and 532nm: The RevLite laser is the world’s best gated, pulse sequenced nanosecond pulsed laser tattoo removal machine. What makes the RevLite® so special are the multiple wavelengths of light that come with the system. The RevLite includes the nanosecond, gated pulse sequenced 1064 wavelength for dark black and dark green inks; the 532 nanometer, nanosecond pulsed wavelength for reds, yellows and oranges; the 585 nanometer, nanosecond, gated wavelength for purples, blues and the 650 nanometer, gated, nanosecond wavelength for light greens. The Revlite, up until early 2014, had been the first and foremost lead laser technology used on tattoos until the PicoSure laser. However, laser tattoo removal patients in Toronto may still benefit, on occasion, from a using RevLite® when PicoSure®, in those rare instances, fails to remove the targeted pigment (most commonly red tattoo ink dyes). The Affinity™ 1064nm and 532nm gated: Nanosecond pulse duration works on Black, Green, Red, Orange and Yellow tattoo ink. The Affinity™ is manufactured by Cynosure. The Accolade™ 755nm gated: Nanosecond pulse duration works on Black and Green tattoo ink. The Accolade is a nanosecond Q-switched Alexandrite 755 nanometer laser. Fractional CO2: A fractional ablation laser that is useful on previously treated tattoos where some stubborn, residual ink is present, but faded and can’t be lifted off. This fractional ablation laser is used by Dr. Mulholland for wrinkle and acne scar reduction and can also be used for successful diminshing of previously treated, partially faded, tattoos. Fractional Radio frequency (RF) ablation: Like Fractional CO2, the Fractional RF ablative device can be used to fade already treated tattoos which have become lightened. The advantage of the Fractional RF system, also called the Fractora, is that the top part of the needles can be silicone coated so the epidermal skin over the tattoo may not be damaged, but the tattoo ink particles can be selectively targeted. Patients have been ecstatic about the results of our laser tattoo removal program and the PicoSure laser. Most patients achieve 90%+ tattoo removal in far fewer treatments and with fewer side effects compared to other centers. Patients treated at SpaMedica in Toronto can often achieve near total removal, in 4-6 treatments. What do I do about a resistant tattoo? I have had multiple laser tattoo removal treatments at different clinics with different lasers. Can SpaMedica make a difference? There are many patients treated at Spamedica in Toronto who have had multiple treatments with other systems, at multiple clinics, and have recalcitrant, resistant or difficult-to-remove pigment. These multiply-treated tattoos with difficult pigment will generally not respond to further treatments on older technology and nanosecond lasers. However, they can still respond extremely well to the PicoSure® laser tattoo removal machine. Therefore, patients with previously treated tattoos or those individuals with multi-coloured tattoos have gravitated to the SpaMedica laser tattoo removal program in Toronto. A Toronto Laser Tattoo Removal patient with a multiply treated tattoo and near total removal. Same tattoo after ablative and non-ablative fractional laser resurfacing. I hear SpaMedica will sometimes use Ablative CO2 or Ablative Erbium lasers on faded tattoos, does this work and how will it help? Dr. Mulholland will use ablative CO2 and Erbium as well as fractional radio frequency needle resurfacing and non-ablative fractional infrared lasers to remove faint but resistant tattoo ink and facilitate blending of the appearance of the tattoo. This can also improve the appearance of previously-treated tattoos. Once the end point of the laser tattoo removal program has been achieved—almost complete eradication—no further maintenance is required. Some patients do elect to have another design tattooed over the treated area. This is possible approximately 12 weeks following your final treatment. Any patient with a tattoo they would like to have removed (fully or partially) is a candidate. These patients prioritize affordable removal in as few treatments as possible and with the least amount of side effects. Patients can be of any skin colour. While options for darker skinned patients was limited in the past, candidates of any skin colour can now be treated with the PicoSure device. However, darker skin types may experience more side effects due to the amount of pigment in the skin. Good candidates should also have realistic expectations: reduction results may range between 80% to 100% after 4-8 laser tattoo removal treatments. What are the contraindications for laser tattoo removal? The contraindications to laser tattoo removal treatment include patients with unrealistic expectations or those individuals with severe wound-healing diseases or metabolic conditions, such as uncontrolled diabetes, lupus, or scleroderma. There is also a risk to patients where the ink oxidizes and changes color with treatment. The majority of patients at SpaMedica Toronto receive laser tattoo removal treatment under topical anesthetic (anesthetic cream) with an air chilling system where cold air is applied to the skin and provides additional anesthesia. In most instances patients describe the laser tattoo removal as far less painful than the tattoo itself. In some circumstances, patients prefer the use of local anesthesia. Local anesthesia is injected under the skin, rendering the procedure painless. Of course, there is a modest amount of pain associated with injection of the local anesthesia. Most sessions are very short, last a matter of five minutes, and are well-tolerated under topical local anesthetic cream and air cooling. Laser tattoo removal is generally well-handled by patients. Under topical anesthesia with an air cooling device or under local anesthesia the procedure is generally described as comfortable and less painful than getting the tattoo. The actual laser tattoo removal treatment lasts between five and ten minutes. The procedure is quick and efficient and results in a small, white frosting on the surface where the tattoo pigment is. This white frosting fades to a mild red, swollen appearance on the tattoo, which then turns into a crust over 24 to 48 hours. For the first four to five days, topical anesthetic ointment is placed on the tattoo as well as an occlusive dressing to prevent rubbing. The tattoo itself can be washed the following day and then the simple dressing is re-applied. Once the crust has fallen off, the tattoo continues to fade. In general, 15% to 25% tattoo fading occurs after each laser tattoo removal treatment. Immediately following the laser tattoo removal session there is a frosting that lasts 15 minutes which then becomes a crust. The recovery period is characterized by flaking and redness for approximately seven days. Topical antibiotic ointment, occlusive dressing, and frequent tepid water cleansing in the shower is all that is required post-treatment. It is recommended to avoid sun exposure for several weeks following each treatment to avoid hyperpigmentation of the area. After two weeks, most tattoos can also then have cosmetic makeup or cover-up placed over them. What kind of results can patients expect following their treatments? With SpaMedica’s unique combination of lasers and wavelengths, including the Picosure™, Revlite™, Accolade™ and Affinity™ lasers , Toronto patients can remove, on average, 85% to 100% of a tattoo after four to eight treatments. Each laser tattoo removal treatment is approximately six to eight weeks apart. This is a far more successful than any other laser system. Other systems need between 8 and 16 treatments for a 65% to 80% reduction. One of the big advantages of the PicoSure® laser, in addition to a fewer number of treatments, is that it’s pure acoustic or photomechanical effects (and near absence of a photothermal effect) results in less redness and inflammation and in far less risk of hypopigmentation. This is a lightening of the skin where the tattoo existed, a phenomenon called “ghosting”. This is not uncommon with other laser devices. Immediately after laser tattoo removal, Toronto patients will experience a white frosting that fades over the first 15 minutes and forms a crust. The crust comes off over 5-7 days. Some of the tattoo ink will come off with the crust and some will fade internally over the next 6-8 weeks. Treatments are therefore performed every 6-8 weeks. The third photo shows the 6th treatment and the final shows the results after 8 treatments. There is some ghosting of the skin but near 100% tattoo removal. Why Choose SpaMedica For Your Laser Tattoo Removal Procedure? Dr. Mulholland has been performing laser tattoo removal for over 20 years. SpaMedica Toronto has accumulated a large selection of the very best possible lasers and wavelengths. Multiple lasers and wavelengths ensure that laser tattoo removal patients get the best possible reduction, even if they have difficult pigments and colours. Dr. Mulholland is one of the first physicians in Canada to provide the PicoSure, PicoWay and the Enlighten lasers. The PicoSure is the shortest pulse duration in the laser tattoo removal industry. Patients can expect high clearance of their tattoo in the fewest number of treatments and with the lowest incidence of side effects. Laser tattoo removal centres that do not have the Picosecond family of lasers will have you coming in for 10-18 treatment sessions. With Dr. Mulholland’s array of picosecond and nanosecond laser devices, most patients only need 4-6 treatments to see 80-90% permanent tattoo reduction. Most laser tattoo removal centres will treat you with phototermal “heating” effects if they do not have the proper wavelengths or picosecond pulse durations. Photothermal heating effects the natural melanin in your skin and the pigment where the tattoo was. This usually results in very noticeable hypopigmentation (loss of skin colour) and ghosting. SpaMedica Toronto ensures the lowest possible risk of hypopigmentation by using a wide range of picosecond pulse duration and nanosecond lasers. Laser tattoo removal patients who choose SpaMedica Toronto usually achieve 90% or more permanent reduction. Difficult-to-treat tattoo colours like blue, yellow, purple, orange and red can be treated effectively with the picosecond wavelength. In general, depending on their size, laser tattoo removal costs start between $480 and $1,440 per treatment. Laser Tattoo removal packages prices start from $1,199-$3,599 (3 treatments). One of the big advantages of the SpaMedica Toronto multiple laser tattoo removal program and the PicoSure laser is that, on average, only half the number of treatments are usually required compared to other, older laser tattoo removal technologies and tattoo clinics that only use one laser and wavelength. Thus, making the whole process more affordable and less time-consuming. Schedule a free consultation with our laser tattoo removal experts to discuss your options and create a plan that is best suited for your budget and goals. Do this by clicking the "Book A Free Consultation" button and filling in the necessary details. A SpaMedica customer service representative will coordinate your consult by your preferred means of contact. You can also call 877-712-8367 now to make your free Toronto laser tattoo removal appointment or have any questions answered. For 20 years, SpaMedica has set the standard for safe, high quality laser tattoo removal in Toronto. Natural and beautiful outcomes are the gold standard. 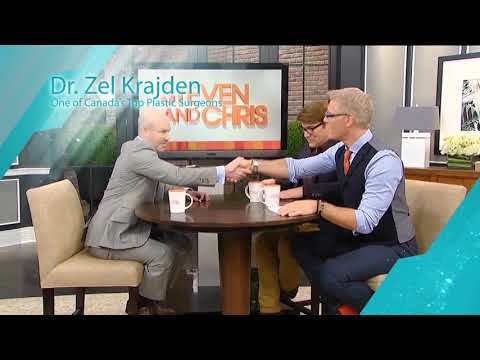 Dr. Mulholland is world renowned and is also the most watched surgeon on YouTube in Canada.